– Fictional: A customizable world of fictional players. I’m not too keen on the fictional mode, but playing the current season is big fun and historical seasons are superb if like me you’re a lifelong baseball fan and big fan of the game’s history. It is just super cool to be able to manage some of the all-time greats from bygone eras. • Managerial options that enable players to set lineups, pitching rotations, and depth charts before taking the field to make in-game calls, including when to issue hit-and-run and steal signs, how to configure the defense, when to pull pitchers and put in pinch-hitters, and more. 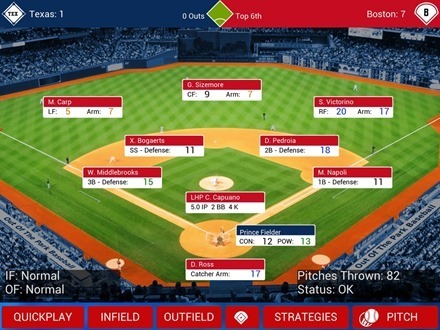 Players can also let the computer handle those decisions and set a series of sliders that dictate overall strategies, such as aggressiveness on the base paths, how often to pitch around batters, and more. They can simulate the season a day or a week at a time, jumping back in to manage games whenever they want. • A play-by-play text stream that describes what’s happening on the field during the game, making it feel like a radio broadcast. • An in-depth financial system that allows players to unleash their inner GMs. Are they “Moneyball” disciples, looking for undervalued players who help the team win while keeping payroll low, or are they free-wheeling, Steinbrenner-like spenders seeking high-profile free agents? 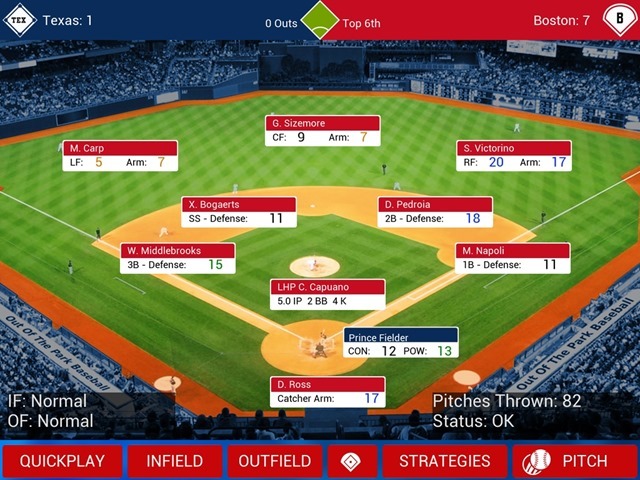 Players oversee trades, negotiate contract extensions, sign free agents, draft players, cultivate minor league prospects, move players between the active roster, minor league roster and disabled list, and more. My managerial efforts with the 2013 version would likely have got me fired mid-season in the big leagues, but I’m psyched for giving it another shot this year. 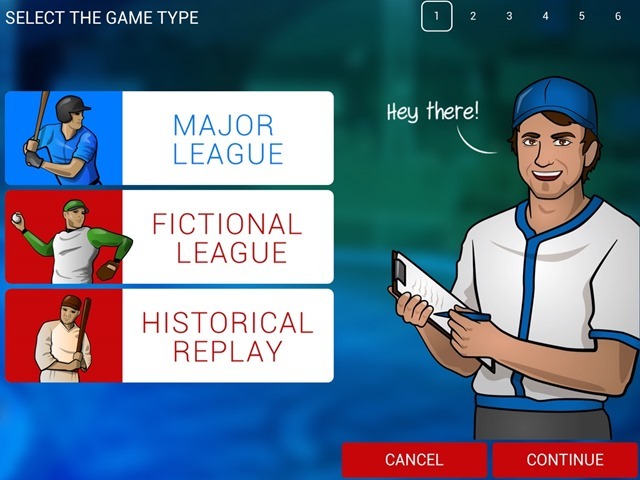 Here’s an App Store link for iOOTP Baseball 2014; it’s priced at $4.99 and is a universal app that runs on both iPad and iPhone.